Posted on April 14, 2018 at 9:48 pm. Today, soda has become a huge part of American culture. You can’t go to any restaurant without being able to order a refreshing soda, nor can you stop by any gas station, deli or grocery store without finding a wide variety of your favorites. But these carbonated drinks weren’t the first – nor will they be the last – to offer a refreshing, delicious taste. Travel back as far as the 1870s and let your taste buds experience the classic flavors that helped shape generations by checking out some of these old-fashioned sodas. Known as “The Original Root Beer,” Hires Root Beer is one of the longest continuously made soft drinks in American history. Featuring herbal notes drawn from roots, berries and herbs, this 1876 classic helped pave the way for one of the country’s most popular soda flavors today. At first glance, Canada Dry might not seem like an old-time soda. But it was actually developed back in 1904 and popularized as a sweet-flavored mixer during Prohibition. Established in 1905, it doesn’t get much more old-fashioned than RC Cola. Known for its crisp, clean taste, this soda also comes in Diet Cola and Cherry Cola flavors. What we now consider an American staple – A&W Root Beer – first hit the shelves about a century ago in 1919. The aged vanilla flavor and fun root beer float recipes helped make this soft drink wildly popular from the drive-in days ‘til now. A list of old-time sodas wouldn’t be complete without Stewart’s Root Beer. When the drink was made in 1924, it was first sold only at Stewart’s Stands and Drive-Ins. Today, people still love that same great taste, along with several other flavors, including Orange ‘n Cream and Grape Soda. Squirt was created in 1938 by Herb Bishop as he sought to produce a uniquely refreshing beverage. It was the Great Depression, and the soda’s unique citrusy punch and, later on, the Ruby Red flavor, quickly became a crowd favorite. Bedford’s Craft Sodas has been producing mouthwatering flavors since 1984. And while the brand doesn’t share the same lengthy legacy as some others, their flavors harken back to an earlier time. The company was started in Port Angeles, Washington and launched in Seattle, where it grew to offer Vanilla Crème Beer Soda, Orange Crème Soda, Marionberry Crème, Ginger Ale and Root Beer. 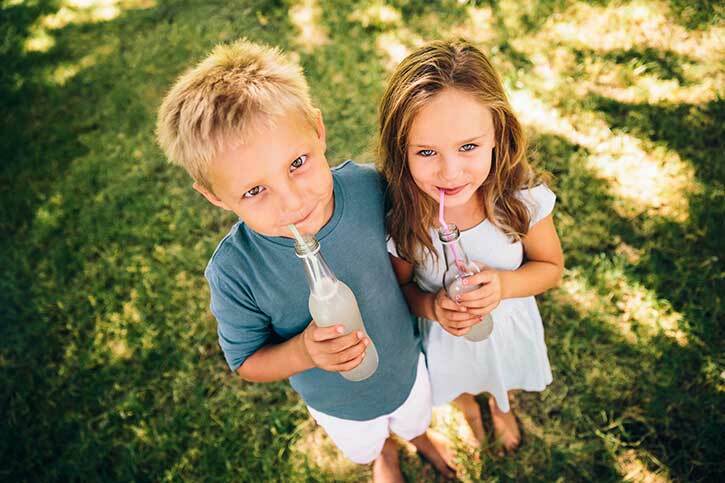 Whether you’re reliving your favorite childhood flavors or you’re looking to discover something different, find all the best old-fashioned sodas at Columbia Distributing. Based in Portland, OR and Kent, WA, we carry plenty of local and national old-time sodas. Contact us today to learn more.